Home / DC / Delhi Capitals / IPL / IPL 12 / IPL 2019 / IS Bindra Stadium / Kings XI Punjab / KXIP / Match Prediction / Mohali / VIVO IPL 2019 Match 13 KXIP vs DC Match Prediction, Probable Playing XI: Who Will Win? 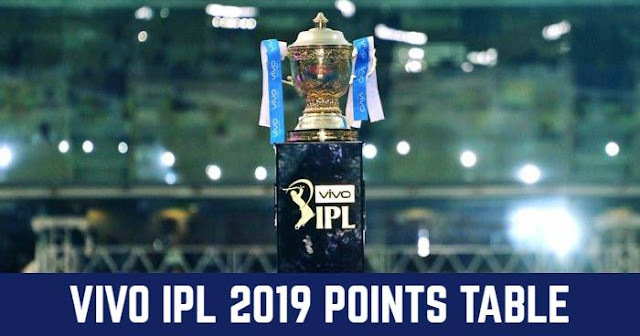 VIVO IPL 2019 Match 13 KXIP vs DC Match Prediction, Probable Playing XI: Who Will Win? Playing XI for DC: Shreyas Iyer (c), Prithvi Shaw, Shikhar Dhawan, Rishabh Pant (wk), Colin Ingram, Hanuma Vihari, Chris Morris, Sandeep Lamichhane, Kagiso Rabada, Harshal Patel, Amit Mishra. Toss winning captain would like to bowl first, as in second innings dew will come into factor. The average first-innings score is 169. Mohali pitch is excellent for batting and also ground is small in dimensions and so high runs are scored. Matches between Kings XI Punjab and Delhi Capitals tend to be high scoring encounters with 174 being the lowest score in the last 9 completed innings. 180-190+ will be par score here at Mohali. Our Prediction for IPL 2019 Match 13 KXIP vs DC Who Will Win? Kings XI Punjab have an excellent record at Mohali and also against Delhi Capitals at Mohali. But with this new young Delhi Capitals team looks destructive than the there previous team. It will be a new Delhi team in front of Kings XI Punjab. 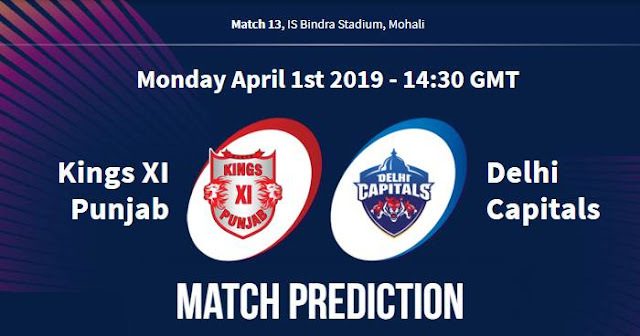 In our prediction, Delhi Capitals have more chances to win the match.